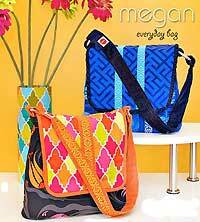 The Megan Everyday Bag Pattern is designed by Maria Prann for Modkid and is a practical messenger style handbag. 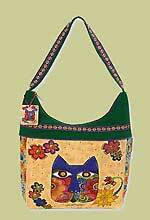 There are instructions for an interior zippered pocket that divides the inside of the bag into two areas. 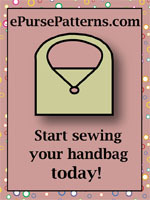 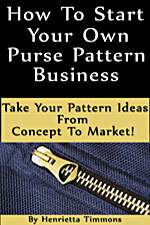 Use the front flap for embellishment, ribbon, buttons, etc.